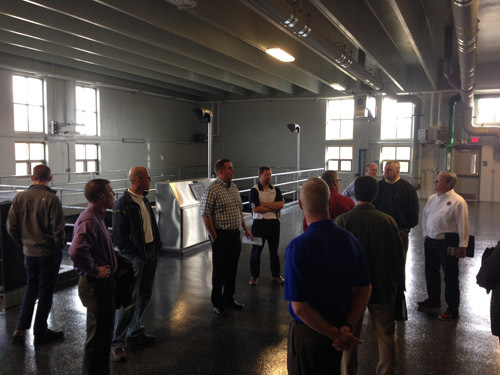 Several public works professionals participated in a technical tour of the Fairmont Water Treatment Plant on October 24, 2014. 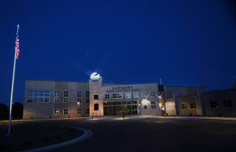 The water treatment plant went into service in September 2013. The day consisted of a short presentation by Troy Nemmers, City of Fairmont, and Jason Kosmatka, Project Manager with AE2S, regarding the planning, design, and construction of the $30 million facility. 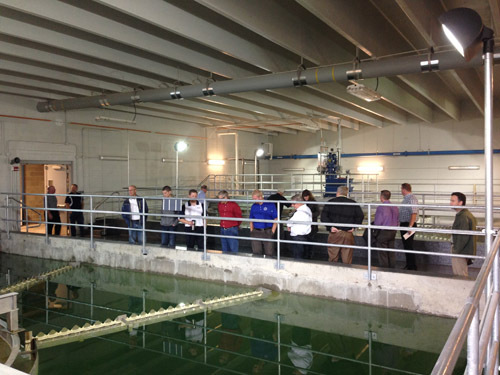 Tour particiants then toured the facility, which includes a chemical unloading garage, public works garage, activated carbon filters, lime sludge filter presses, and on-site sodium hypochlorite generation system. The group concluded the tour with a nice lunch at a local restaurant.